RETROSUPERFUTURE® (RSF) is an independent Italian brand, producing high-quality designer sunglasses, spontaneously endorsed by top celebrities like Kanye West, Beyoncé and Daft Punk among others. Instead of promoting the product itself, RSF wanted to build a consistent brand image by taking a stand, providing real value and attracting endorsers. RETROSUPERFUTURE® is a name too long and difficult to remember, while the abbreviation RSF is somewhat cryptical. Therefore Super sunglasses is often used as a substitute. So, we were asked to come up with a solution in terms of naming in order to avoid further confusion. Brand DNA — self-ironic, avant-pop, smart, cool, eclectic, party starter, provocative, innovative. Target group — millennial trend-setters on a local or global level, living in metropolitan cities. 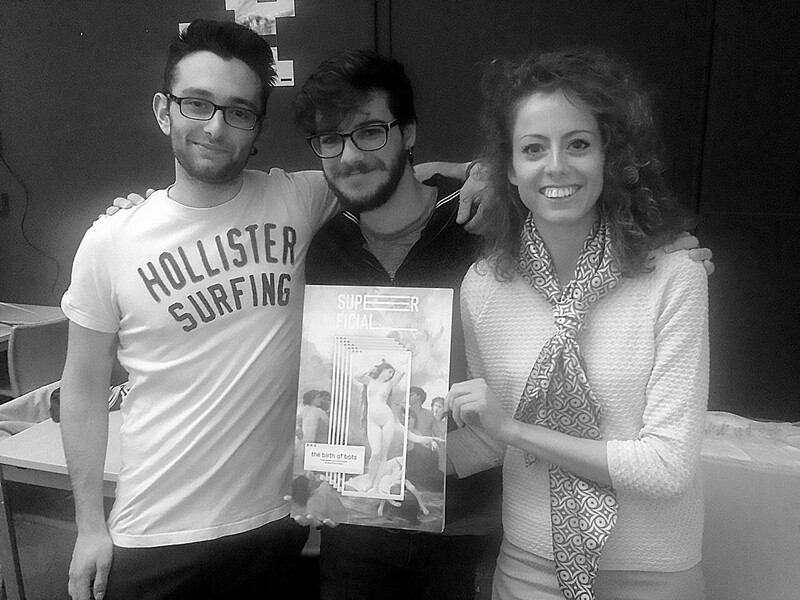 Benchmark — Wired Italia and Makeshift in terms of brand consistency, design innovation, content originality and relevance. 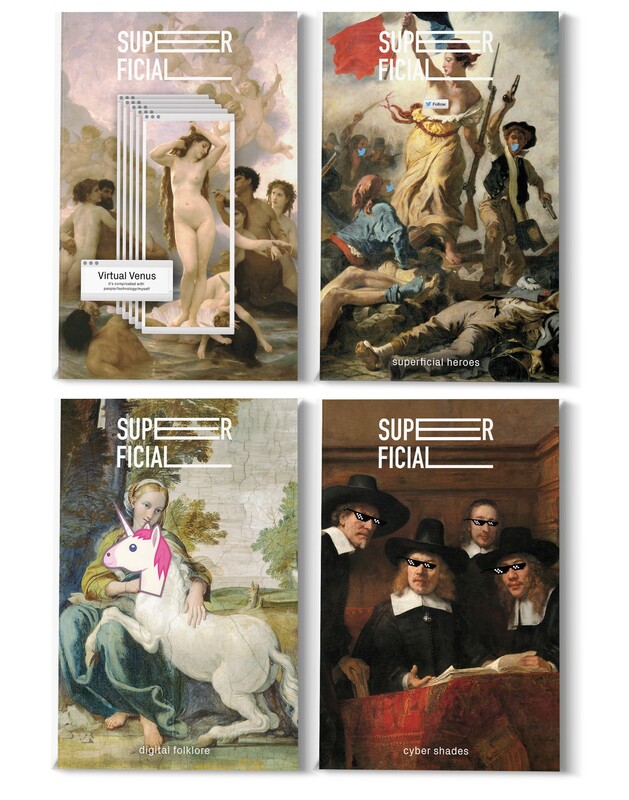 So we designed a cross-media magazine as a storytelling instrument to power the RETROSUPERFUTURE® brand. We called it Superficial. 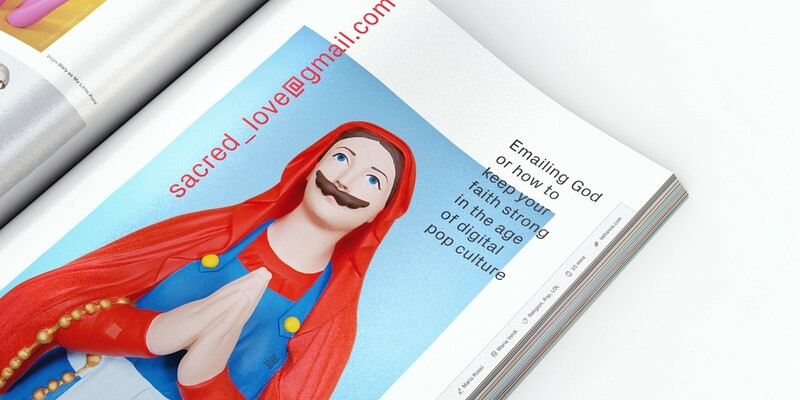 The magazine explores the ways in which digital communication makes us superficial. Memes, tweets, fake news, the FoMO syndrome… They all prove that we’re drifting on the surface more than ever. Admitting being superficial, sets the magazine apart as self-ironic, witty and honest. Last but not least, the word “superficial” resonates with the name of the brand, thus solving the naming problem we were posed with. Payoff — Following the tl;dr principle, we decided the payoff should be composed of emojis instead of words. The two emojis wearing glasses were also a witty hint at RSF. 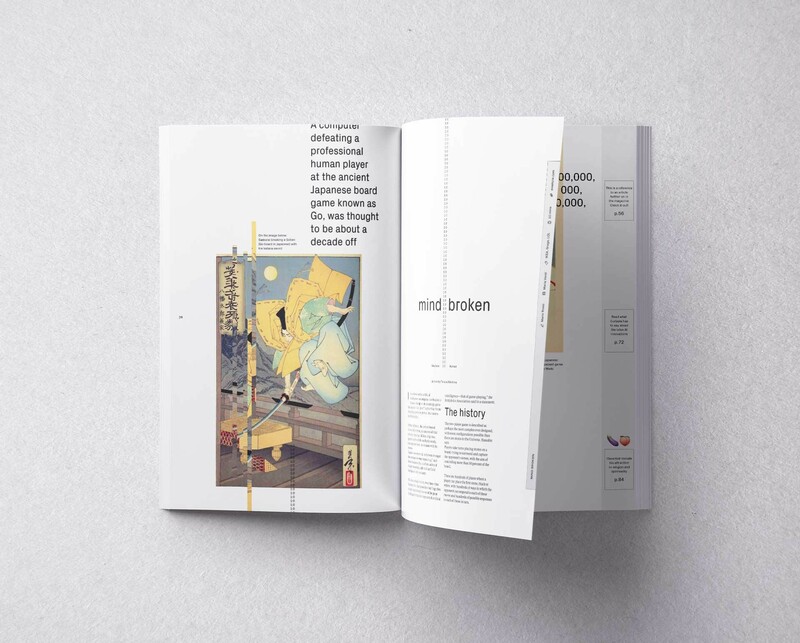 Page structure is inspired by social media news feeds, so it unfolds vertically, instead of horizontally. Which means that if you strap the magazine’s pages and put them one after the other vertically you can re-create the news feed. Content is expands onto more pages, thus setting less words per page, and making articles easily scannable. 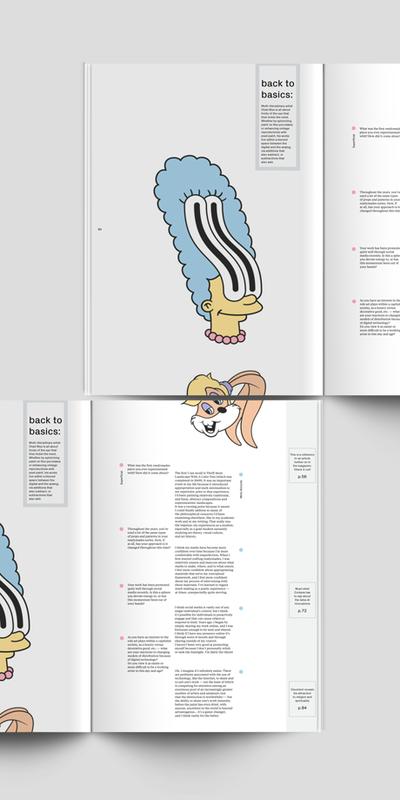 The traditional index page is substituted with a sidebar, used to provide excerpts from articles within the issue. In the beginning of each article metadata is displayed within the sidebar. The micro-videos are extremely relevant to the target group because trend-setters are always the first to spot and adopt new hypes. Superficial claims to be trend-setter itself by creating and spreading new buzz words. The landing page, designed in Wordpress, acts as a meeting point between the various communications channels. It is focused on advertisers and subscribers and features testimonials from notable endorsers. 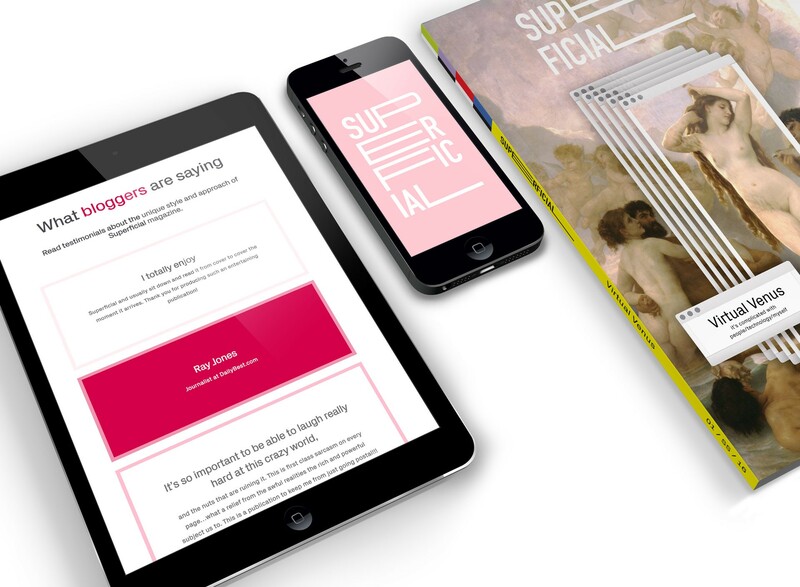 Superficial was developed as a thesis project at IED, Torino in 2016 by Daniel Carpenito, Michele Massa and myself, Tereza Nikolova. If you enjoyed this case study please appreciate it and follow me.